For those of you that aren't in Jacksonville, or haven't stopped by to say hi yet, I thought I would share a virtual tour of The Wedding Party. We are a collection of wedding professionals (some of the best in the business, if I do say so myself), that all share office space. There are other folks out there trying to copy the idea, but they are mostly advertising outlets. Vendors pay a monthly fee to have their marketing materials on display. What sets us apart is the actual offices. We are (for the most part) all here all day, all week. 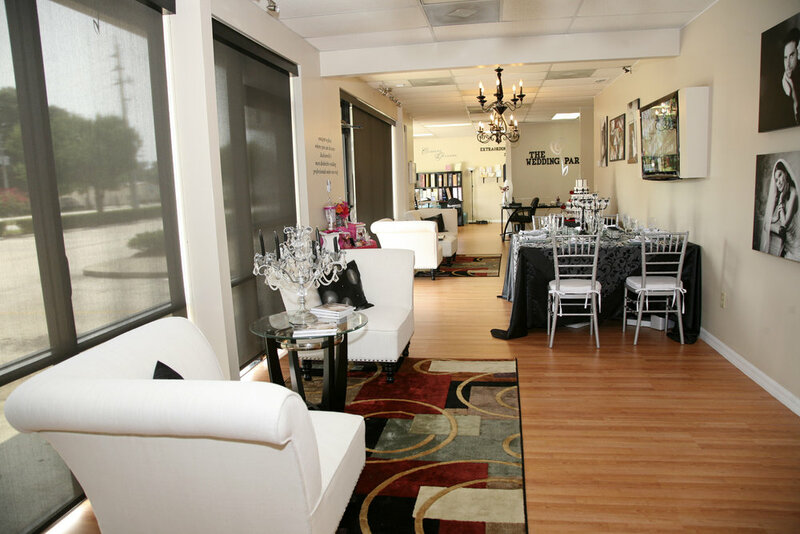 If a bride walks in, she can easily meet with any of us during normal business hours. Or, if a bride comes in to meet with our photographer, she might decide she wants to check out our videographer or cake baker while she's here. It's really great for the clients! Take a look around - either virtually or in person!